My Grandmother's family has been a bit of a mystery for me to trace. There are no records for her family, Feldman, from Poland where she was born. I know she came from a town called Miedzyrech, pronounced "Mid-zrich", as she had told me so, and there are a few mentions of it in some records. I knew from my Grandmother that her Father had been married before and after his first wife died, he married my Great Grandmother who was some 20-25 years younger. My grandmother, Rose (that's her on the left), was the oldest born in 1890 about a year after the marriage, and there were two siblings. The youngest was Tsipora, born in 1899, and a mysterious "Uncle Nat" Feldman. Tsipora I knew, as I had met her as a youngster in Israel where she lived with her two sons and their families. I knew little about Uncle Nat. Most of what I did know came from my Dad. Nat was a Doctor in New York, and had a wife Hilda. Dad was sent to visit them when he was 15, and was inspired to be a Doctor as well, and worked hard to become one. I found only one census record for "Nat and Hilda Feldman" in New York, from 1930, listing him as "D. Nat Feldman" born "about 1894". Nothing more. For a year, nothing. I puzzled over what the "D" stood for, and still found nothing. I finally thought that since he was a practicing physician, there had to be some record of his license. Months of searching New York state records to try to find something all lead to a dead end. In a google search, I stumbled across a link that mentioned that the American Medical Association maintains a member file for every member, and marks them as deceased when they die. The records are scanned and available on FamilySearch.org, but they aren't indexed. You have to go page by page, alphabetically, to find them. 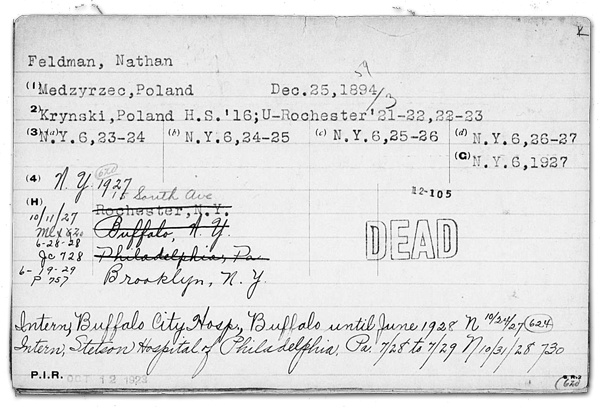 45 minutes of narrowing down the pages, until, I found "Nathan Feldman" born in "Medzyrec, Poland, December 25, 1894". I had Uncle Nat at long last. The card listed he attended "Krynski High School" class of 1916 and graduated from the University of Rochester in 1923. The floodgates opened. I found everything, almost. I found the original copy of the census page for "D. Nat Feldman". I had only seen a transcribed listing online. I saw instantly that the census didn't say "D. Nat" it said "Dr. Nat"! It also listed that he came to the US in 1919. 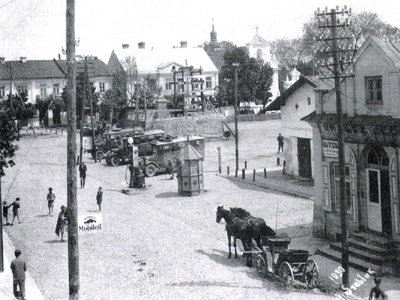 A Jewish genealogist online told me that "Mangus Krinski" ran a Yiddish Boys High School in Warsaw. I found out that one "Mendel Krinsky" was a prominent Jewish educator at the turn of the 20th Century and his school in Warsaw was one of the first Yiddish Language schools in Poland. The light bulb clicked again. I remembered my Grandmother telling me that her father had died, very shortly after Tsipora was born. 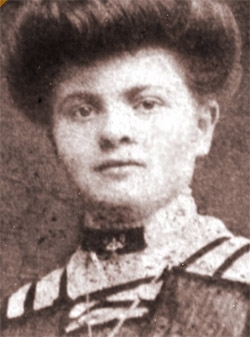 Her mother moved the family to Warsaw in hopes of earning some money running a small shop, as there was no money after he died. Rose left for America in 1907 because she couldn't get work, and her mother was struggling to make ends meet. Obviously, she got Nathan into the Krinsky school to give him a better life. Which he had. He married Hilda in New York in 1929, raised a daughter and lived a full and rich life as a doctor and active member of his Synagogue in Brooklyn until his.death in 1954. His legacy and that of his mother's gift of education lived on with my Father, the doctor and the grandson Nathan never knew, who also became a doctor. I still can't find any records for my Feldman's in Miedzyrec, but I have them all here in the US.